Our little brother - the Meeniyan Pantry & Cellar is running a series of cooking classes not to be missed! 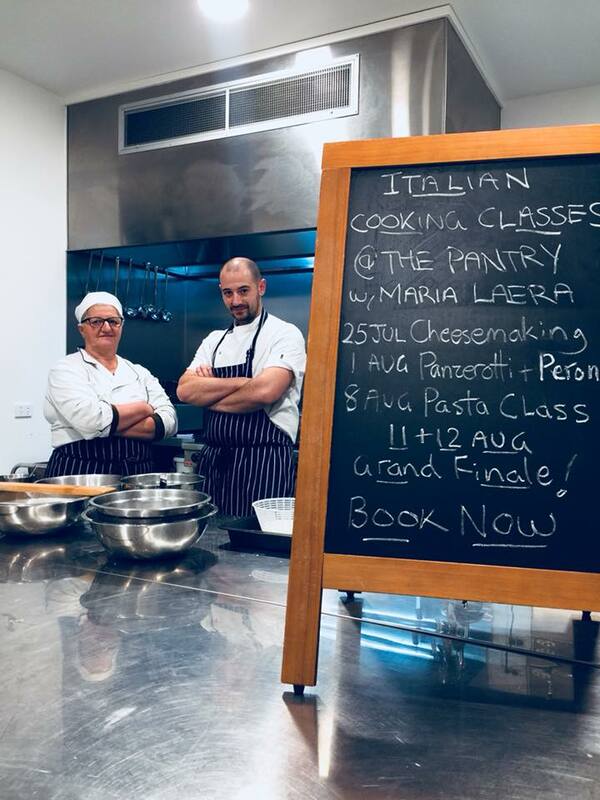 Kicking off our very first cooking classes hosted by Maria Laera all the way from Puglia in Southern Italy. Maria is coming to little old Meeniyan to share her traditional culinary secrets with our lucky cooking school attendees. There will be Italian Cheese Making, Panzerotti & Peroni, Pasta Making by Ear and The Grand Finale.